Your PPG consists of a group of patients representing the four surgeries in the Practice. The ideal representation would be to have two patients for each of our four surgeries - a total of 8 patient members plus a GP and a manager from the Practice. Meetings are approximately every 6 to 8 weeks, commencing at 5.30pm. If you are interested and are willing and able to give the time commitment to join this core group, we would be glad to hear from you. Joining the PPG may interest you as a young person, mother, a carer, a dad, a patient with particular interests or as a retired or older person. Alternatively you may be interested in forming a Virtual PPG. The virtual group is for those of you who cannot make physical meetings but are invited from time to time to contribute views and suggestions on Practice plans via email. 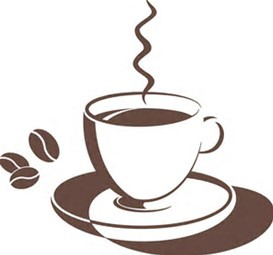 Get together with St Marys Church, Roade Village Network and Northamptonshire Carers to host a Drop in Café on the first Monday of each month in the church hall between 10am-12noon. Unnecessary Attendance at the Surgery, Failed Attendances at our local Hospitals, Transport to medical appointments and any issues faced by those housebound. 2019 will be the year the PPG wish to effect common goals that will benefit the clinical staff and our patient population. Jointly working for effective outcomes and relieve pressure on our NHS services. Bring a sense of ownership and partnership between practice staff and patients. Give practice staff and patients the opportunity to discuss topics of mutual interest. Act as a reprentative group that can be called upon to influence the local provision of health and social care. Liaise with other Patient Participation Groups in the Northampton and MK areas. Patient Interviews carried out in June/Sept 2013. Currently there are patients from Grange Park, Hanslope, Blisworth & Roade localities participating in the Patient Group.